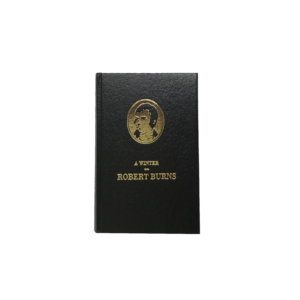 Robert Burns (1759-96) was born in Alloway, Ayrshire, the son of a market gardener who feud 7 acres locally. In a short period Burns, the farmer Poet wrote a wealth of songs and poems. He died in Dumfries of rheumatic fever at the early age of 37 years. 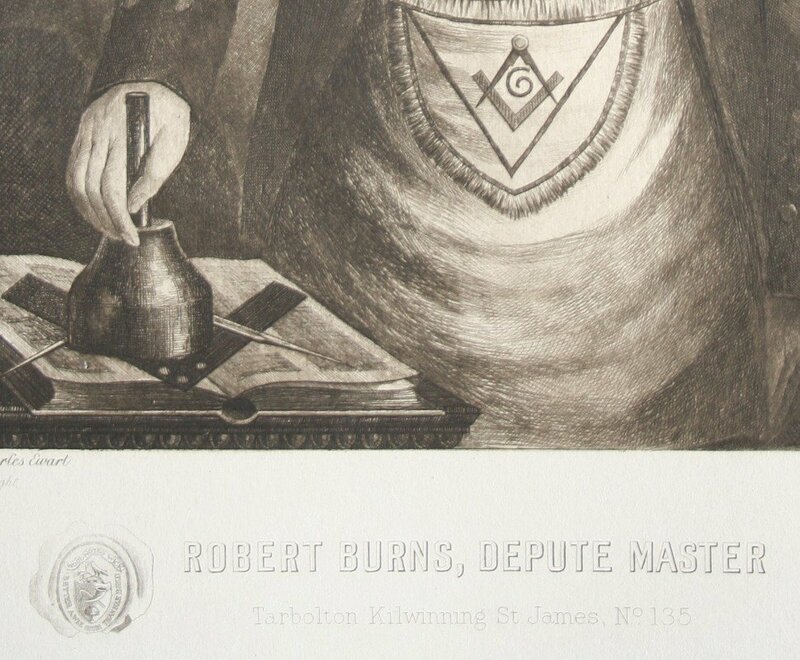 This engraving depicts Burns in his Masonic regalia as Depute Master. It was engraved by Charles Ewart from the original by Stewart Watson. It is obviously influenced from the famous Nasmyth portrait. During the last quarter of the 18th. 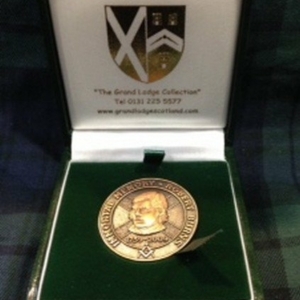 Century Freemasonry was at the height of its popularity and Burns was a Mason from 1781 until his death. He was initiated on 4th. July 1781 in St, David’s Lodge no. 174, Tarbolton, Ayrshire. It was partly due to his Masonic connections that Burns was widely received in Edinburgh.